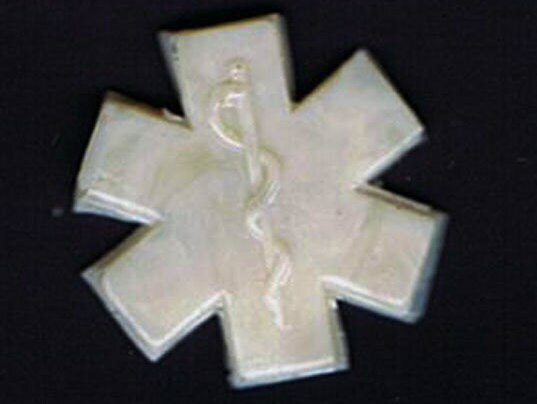 This is a set of two of resin EMS Star of Life emblems 1/25 scale model ambulances. These are suitable for any emergency vehicle model in a comperable scale, and can be used in railroad layouts for signs, or attached to 1/6 scale action figure equipment cases. The emblems measure approximately 5/8" in diameter and are approximately 1mm thick. They have minor air bubbles and flash and requires minimal clean up. They can be painted with enamel, acrylic, or lacquer paints.